New Zealand's teacher payroll system appears to be finally delivering the goods after years of failure and millions in ongoing and often out-of-budget investment. However, in the 2018 financial year, Education Payroll Ltd reported it successfully managed the delivery of the pay accurately and on time for all fortnightly periods. "The core payroll system continues to be stable with availability maintained at 100 per cent during the year," EPL said in its annual report. That claim seems to jar with ongoing media reports of overpayments, however. At the core of the improvements are two programs: Better Every Day and the Education Payroll Development Program (EDPD), including $26 million more of investment approved in 2016. 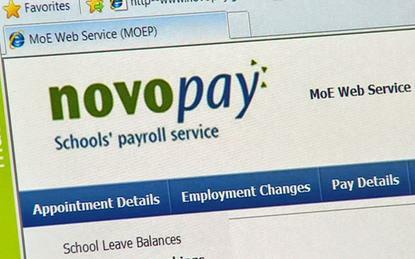 At the time, EPL said the Novopay payroll system was facing "almost certain failure" by 2020 without further investment. "Better Every Day has been embraced by technology teams, with several system improvements being delivered to our customer over the year, a focus on driving value from our vendors, cost out where appropriate and continued process/policy enhancements," the report said. The ticketing system that manages all sector instructions was also upgraded to remove potential points of failure and improve allocation of instructions to work teams. Blueprints for the payroll service along with service design requirements were also completed. The EDPD project is more technical, supporting the transition to a more digital payroll service. EPL said this is being completed using the agile methodology and is "well in progress", including confirmation and configuration of the new technology stack, procurement of vendor services and associated activity. "The focus is now on the upgrade of the current technology stack and re-design of a more customer-centric interface, it said. EPL reported it has replaced ageing storage, increasing capacity and resilience for disaster recovery while network perimeter security infrastructure has also been upgraded to improve border protection. "Agile development maturity has continued to increase with over 90 per cent adoption," the report said. "One area of focus has been increased built-in quality via automated testing and deployment and automated test suite development." The teams operate using agile sprints and adopting continuous improvement practices such as integrating code regularly. DevOps tools to release software more regularly continue to be embedded. The progressive release of software to the school user community is scheduled in the next financial year. Furthermore, the core payroll system has been enhanced in the areas of long service leave, the implementation of numerous reconciliation and control reports and optimisation of processing times for key batch processing functions. The ultimate goal of the EDPD is to implement a fully on-line service by 2020 and a sustainable, compliant and cost-effective payroll system for the next decade. EPL reported an overall increase in revenue of $3 million, attributing this to an agreed annual fee paid by the Ministry of Education to recognise increased costs associated with the EPDP. Operating expenditure was seven per cent higher than budgeted while the increased spend of $1.8 million was attributed to increased third-party support costs of $3.5 million reflecting spending on the EPDP that was not anticipated at the time EPL's budget was approved. This was offset in part by reduced expenses in various areas.